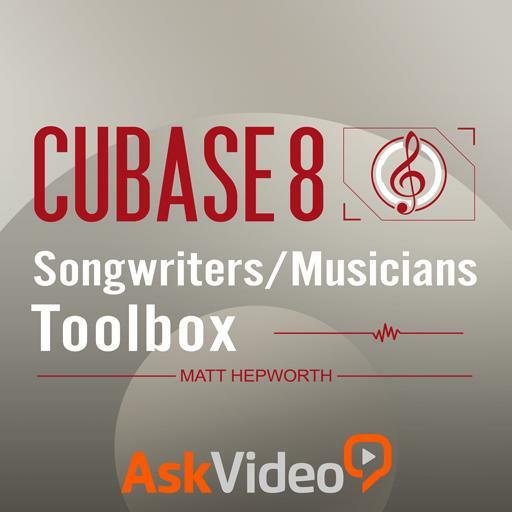 Cubase 8 102 - Songwriters/Musicians Toolbox. Which Insert slots are post-fader and should be used for limiters and dithering plug-ins? What is the key command for Click on/off? Hard disks and SSDs never fail, so making a backup is a foolish waste of time. True or false? What happens to VST Amp Rack when the tuner is activated? It immediately goes to 11. It gets twice as loud. It bypasses the rest of the effect. Which modifier key would you add after creating repeats while still holding the mouse button? What tempo setting would you use to make a gradual tempo change? The Left and Right Locators can be placed at the same position. True or false? What does the Legato function do to MIDI events? It makes the notes one length. Lengthen each note until the next note plays. What is the ‘secret’ to keeping all of the media separate for each Project? Making each Project folder a different color. Creating multiple versions of each Project. Creating a Project folder for each Project. Creating a Project file for each Project. How many virtual microphones can you use on a virtual bass cabinet simultaneously? Which control adjusts the amount of signal coming into the Stereo Output channel? Which tool is used to create Arranger track events? What button would you click to reveal the lanes? What happens to the audio files in the Pool when you select the Empty Trash command? It makes them easy to recover. It erases the files from the hard disk. It removes them from the Project only. In terms of Cubase quantization, what does ‘iQ’ stand for? What is the advantage of starting a recording earlier in the project? It sets the input level for you. It’s easier on the computer. It helps the performer get into the ‘groove’. How many overlapping MIDI events can you have? What is the key command for showing/hiding the Transport Panel? Bars and beats, respectively, are synonymous with what? How do you audition a loop in the Media Bay? Ctrl/Command - click on it. Alt/Option - click on it. What command is used to load Groove Agent kits without patterns? Which control is found at the far right of the Transport panel? What can be found in the DIs folder? The original audio tracks recorded with DI boxes. The diatonic and ionic scales. Which key would you press on the numeric keypad to return to the beginning? What does a red area between the Left and Right Locators indicate? The need for a bandage.